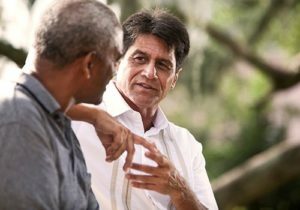 Is Social Security a topic in your conversations these days? 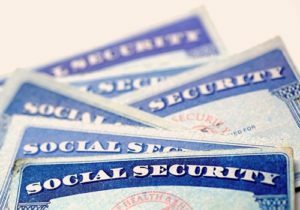 Are you familiar with the lingo used to describe Social Security benefits, or does it sound like a new vocabulary to you? One of the common misconceptions about Buddhism is that it is detached from the affairs of daily living. Nothing could be further from the truth. The Buddhist tradition focuses on cultivating the wisdom to differentiate between short-term pleasure and long-term well-being, and the courage to make the best choices. Looking to protect yourself from fraud, identity theft, and scams? Maybe you’re wondering about the best way to use credit, how to shop for a used car, or maximize your security online. I have a question for you. Did you know it’s America Saves Week? Here’s another one, are you saving for your retirement? One more, if you will, when was the last time you looked at your savings account? America Saves Week is an annual opportunity to reassess your answers to these questions and ask yourself if you are saving in the way your future demands. You’ve worked hard all your life and when you retire, you should reap the benefits of that labor. Establishing good savings behavior now will minimize future worries about your financial status. 2015 was a special year for Social Security – we launched our very first blog, “Social Security Matters.” This blog has helped us cover the issues and concerns that are most important to our beneficiaries and their families. Thank you for reading our blog and joining the conversation about Social Security. We look forward to having more conversations with you in the upcoming year. Summer’s just a memory, the days are cooler, and children are comfortably settling in their back-to-school routines. You should take this time to “hit the books” and learn more about what Social Security offers at our website.